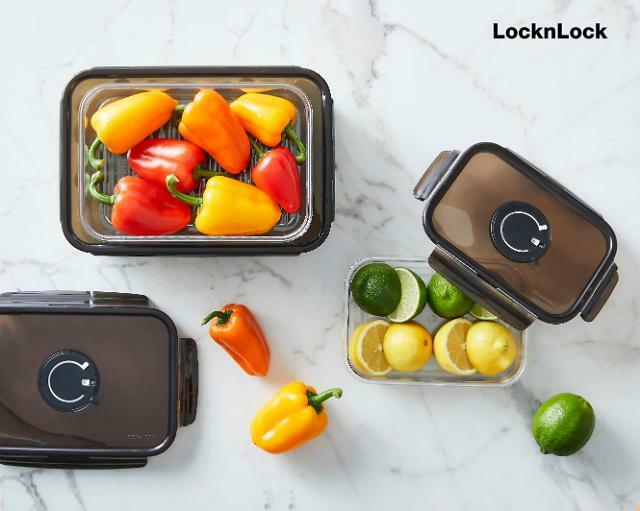 SEOUL -- Lock&Lock, a household products company in South Korea, has sealed an exclusive two-year contract with Meyer, a major cookware distributor in the world, to supply leak-proof plastic food containers, securing a strong foothold for offline sales in the American market. As a specialist in leak-proof plastic food containers with a patented four-sided interlocking system, Lock& Lock has established a global market network, but sales in the U.S. market have come mostly through home shopping and online outlets. Financial terms of the deal with Meyer was not disclosed. Lock&Lock has diversified its business portfolio into containers made of ceramic, glass and stainless steel. It now sells food containers, cookware, tumblers, water bottles and outdoor products such as lunch boxes and cooler bags.